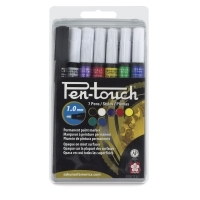 Use these versatile markers to decorate and embellish a variety of surfaces with personality and style! 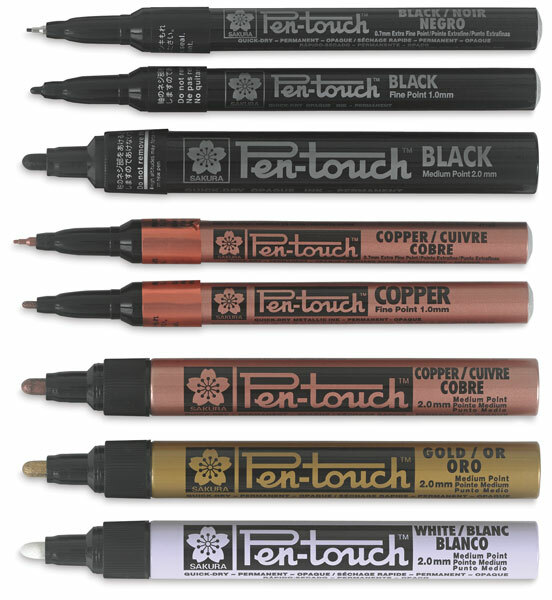 The ink adheres permanently to most surfaces, including glass, wood, porcelain, plastic, paper, and metal. 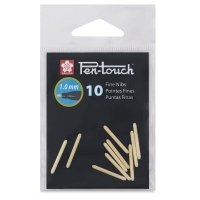 Replacement Nibs, Sets of 10 — A new accessory for your favorite Pen-Touch Paint Markers, these sets of 10 replacement nibs are available for X-Fine (0.7 mm), Fine (1.0 mm), and Medium (2.0 mm) Pen-Touch Markers. 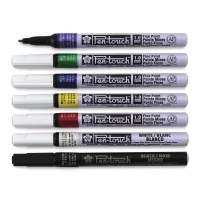 White — This marker draws a white opaque line on dark surfaces. 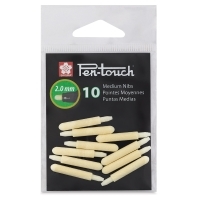 It is most opaque on non-porous surfaces or coated paper stock. 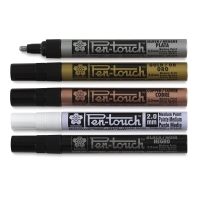 The special ink formula is free-flowing, so it won't clog the nib. 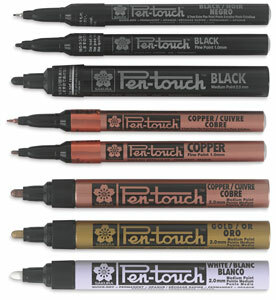 The ink is quick drying and permanent on most surfaces. 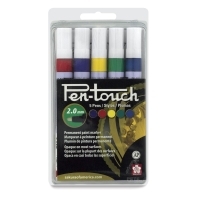 Set of 5, Medium Tip, Assorted Colors — This set contains five markers with a medium 2.0 mm tip, including one each of Blue, Green, Purple, Red, and Yellow. 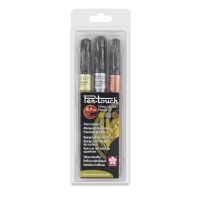 Set of 5, Medium Tip, Metallic — This set contains five metallic markers with a medium 2.0 mm tip, including one each of Black, Copper, Gold, Silver, and White. 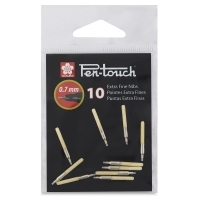 Set of 7, Fine Tip, Assorted Colors — This set contains seven markers with a fine 1.0 mm tip, including one each of Black, Blue, Green, Purple, Red, White, and Yellow. 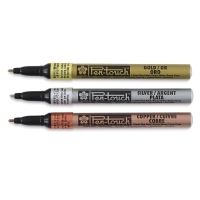 Set of 3, Fine Tip, Metallic — This set contains three metallic markers with a fine 1.0 mm tip, including one each of Copper, Gold, and Silver. 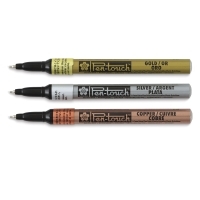 Set of 3, Extra Fine Tip, Metallic — This set contains three metallic markers with an extra-fine 0.7 mm tip, including one each of Copper, Gold, and Silver.